Wicker is any sort of hard woven fiber formed into a useful object. Wicker is usually used for baskets or furniture. Traditional wicker is made of material of plant origin such as rattan, abaca, seagrass etc, but nowadays also plastic fibers are used. Materials used can be any part of a plant, such as the cores or canes of rattan stalks, or the whole thickness, as with willow switches. Other popular materials include reed and bamboo. Often, a frame is made of stiffer materials, after which more pliant material is used to fill in the frame. 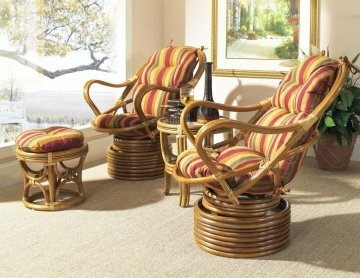 Wicker is light yet sturdy, making it an ideal inexpensive option for furniture that will be moved often. It is often used for porch and patio furniture. 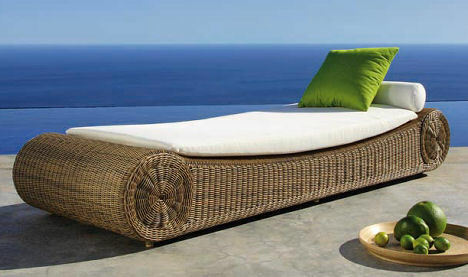 Rattan is a very good material mainly because it is lightweight, durable, and flexible to a certain extent. Raw rattan is processed into several products to be used as materials in rattan furniture making. The various species of rattan ranges from several millimetres up to 5-7 cm in diameter. From a strand of rattan, the skin is usually peeled off, to be used as rattan weaving material. The remaining “core” of the rattan can be used for various purposes in furniture making. 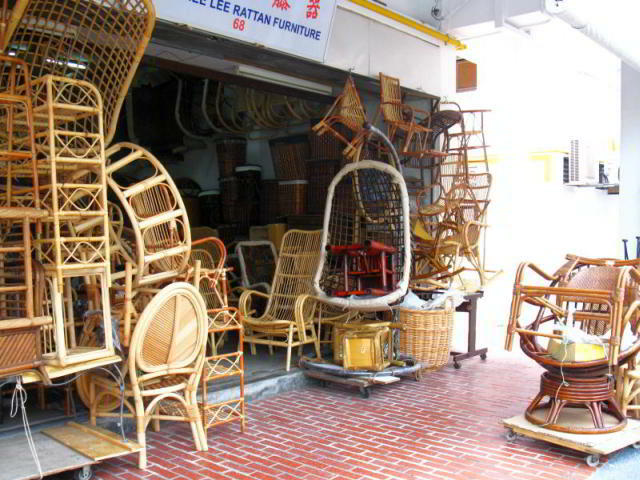 Rattans are extensively used for making furniture. Cut into sections, rattan can be used as material to make furniture. Rattan can be mixed up with paints and stains like wood, so it is available in many colours; and it can be worked into many styles. Moreover, the inner core can be separated and worked into wicker. This makes it a potential tool in forest maintenance, since it provides a profitable crop that depends on rather than replaces trees. To make an unique furniture, rattan furniture can be combine with other materials such as abaca, which is a species of plantation of banana tree, grown especially for the inner layers of its bark. Other is waterhyacinth, which is made from the dried stems of this ubiquitous aquatic plant in an ingenious weave technique. There is also seagrass, kubu, loom, plastic wicker, wood, alumunium and iron frame. Rattan or rotan is the name for the roughly six hundred species of palms in the tribe Calameae, native to tropical regions of Africa, Asia and Australasia. Most rattans are distinct from other palms in having slender stems about 2-5 cm diameter with long inter nodes between the leaves. heir consequent growth habit also differs, not being trees but vine-like, scrambling through and over other vegetation. They are also superficially similar to bamboo, but distinct in that the stems are solid, rather than hollow, and also in their need for some sort of support; while bamboo can grow on its own, rattan cannot. Many rattans are also spiny, the spines acting as hooks to aid climbing over other plants, and also to deter herbivores. Rattans have been known to grow up to hundreds of meters long. Most of the world’s rattan population is exist in Indonesia, which distributed among Kalimantan (Borneo), Sulawesi (Celebes) and Sumbawa islands. Indonesia is the mostrattan furniture producer in the world. The rest is coming from the Philippines, Sri Lanka, Malaysia and Bangladesh. Posted in Rattan Furniture	| Comments Off on What is Rattan ? Indonesia is a leader that produce rattan patio furniture. Fortunately, no sweat to get along to Indonesia, because you can find it in front your browser. In fact it can be as easy as purchasing your favorite set right on the Internet.